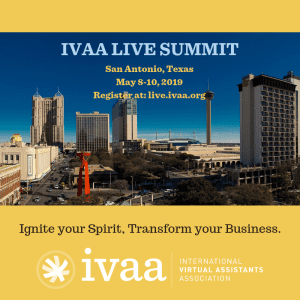 The International Virtual Assistants Association is run by volunteers. We would love to have you join us. Volunteer positions are open to regular members only. You may volunteer for any amount of time, as your schedule allows. Volunteers must be active volunteers for a minimum of 3 months in order to qualify for volunteer discounts. If you’re interested in volunteering, please send an email to our Volunteer Coordinator at volunteer@ivaa.org. Let her know how much time you have to give and what areas you might be interested in helping out in, and she will be in touch with you to find out more.